AMAZING DEAL!!! 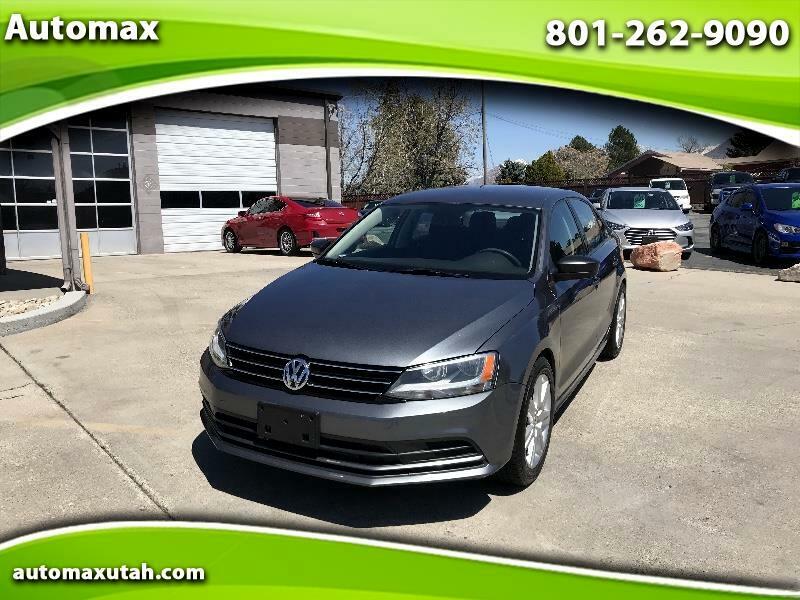 2016 VW Jetta S, CLEAN TITLE, CLEAN CARFAX, 1 owner, 1.4L Turbo, 4 cylinder, automatic transmission, power windows, power door locks, power mirrors, steering wheel control, cruise control, keyless entry, cd/radio, auxiliary, usb, bluetooth, a/c, heater, nice tires, passed emissions, runs GREAT. Asking $7495 -Please contact us @ 801-262-9090 or TEXT ONLY 801-643-9686 to schedule your test drive. Family owned and operated. Committed to friendly no hassle and pressure free service. AUTOMAX Hours of Operation are 10am-7pm Monday through Friday Saturday 10am-5pm and closed Sunday. Please visit us online at www.automaxutah.com to browse our full inventory selection. AUTOMAX is not responsible for any misprints typos or errors found on our website page. We also reserve the right to change prices without notice. Hablamos espanol.